Americas Best Value Inn Blue Ridge offers the most value for your money when staying for business- pleasure- or just passing through. We are an AAA 3-Diamond hotel with clean spacious rooms- a 24-hour front desk- free coffee in lobby- free continental breakfast- an outdoor pool open Memorial Day to Labor Day and free Wi-Fi in throughout the property. Our guest rooms include coffeemaker- hairdryer- 32 inch flat panel cable TV- ESPN- clock radio- and table with chairs. Take advantage of our extremely comfortable beds and relax while saving money year-round with our Kids Stay Free Policy 11 and under in parents room . For your convenience our hotel offers both smoking and non-smoking rooms. Pets are welcome- restrictions and charges apply. We are located off Highway 76/Appalachian Highway and Windy Ridge Circle- and are near attractions such as Blue Ridge Scenic Railway- Ducktown Basin Museum and North Georgia Technical College. Americas Best Value Inn Blue Ridge is your best choice along the northern Georgia-Tennessee state line area. We offer ideal accommodations and location whether you are in town for business- music or food festivals- sightseeing- or simply passing through on your way to Atlanta or Knoxville. At Americas Best Value Inn Blue Ridge our goal is to provide our guests a great experience- not just a place to stay. At Americas Best Value Inn Blue Ridge- We ve Got You Covered from the time you hit the road until your head hits the pillow. 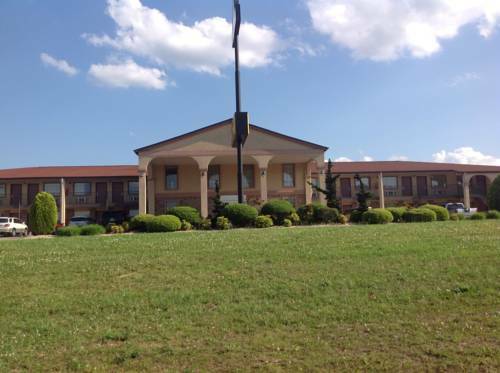 Americas Best Value Inn Blue Ridge is located off Highway 76/Appalachian Highway and Windy Ridge Circle. We are near to local attractions such as Blue Ridge Scenic Railway- Ducktown Basin Museum and North Georgia Technical College. Our address is 4970 Appalachian Highway -Blue Ridge- GA 30513. ~67 miles from Blue Ridge. ~73 miles from Blue Ridge.